Liebherr’s forced-air refrigerator, designed for intensive use. Robust quality exterior and highly practical interior: Liebherr's drinks refrigerators are designed for intensive use and can comfortably withstand the rigours of daily commercial use. The fan guarantees high performance and enables a large quantity of drinks to be chilled very quickly. The temperature can be set between +1°C and +15°C and is displayed on a digital thermometer (with an independent power supply) on the appliance exterior. 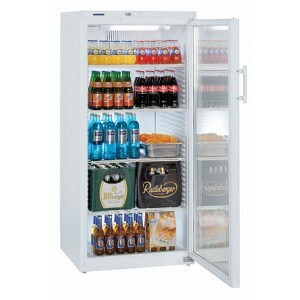 This means that the drinks are constantly stored at the desired serving temperature. 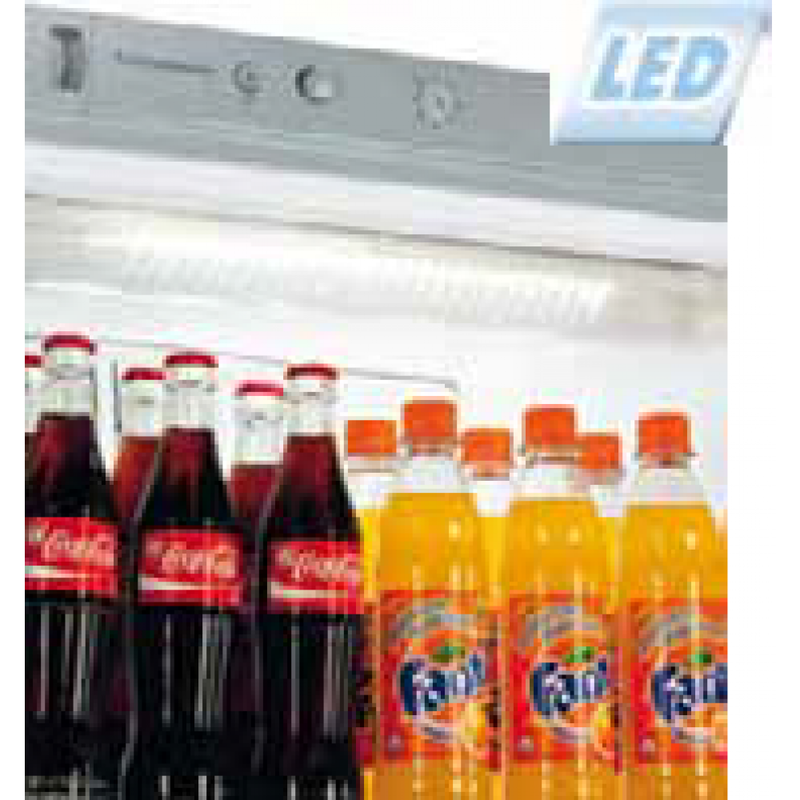 The LED interior lighting in the glass door appliances can be switched on and off independently to save energy. The pleasant white light creates an eye-catching presentation for your products. As well as giving outstanding interior illumination, the LED lighting is highly energy-efficient. 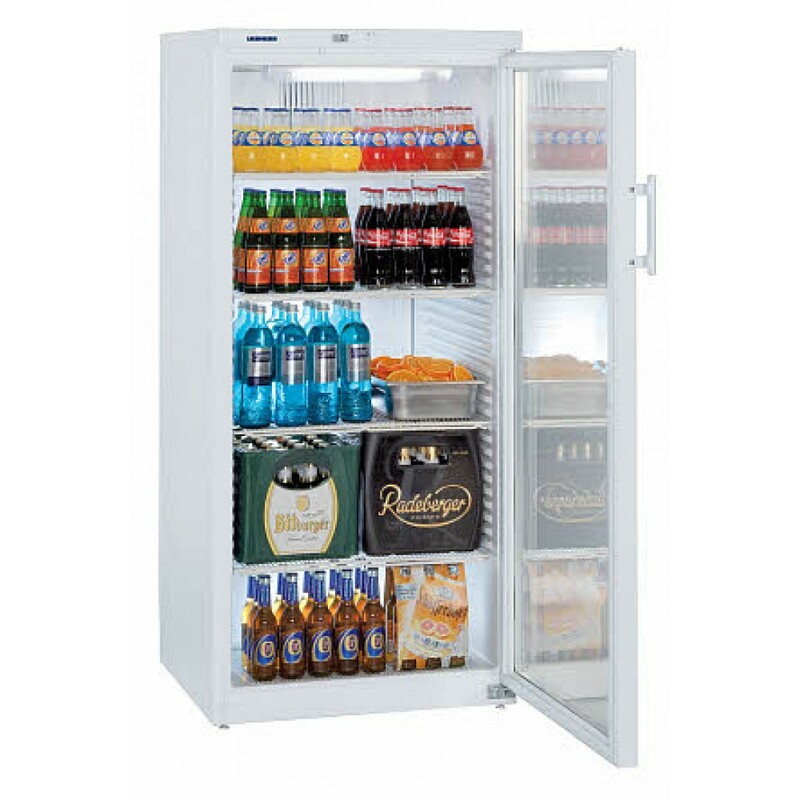 To meet increasingly stringent hygiene requirements, the drinks refrigerators are designed to be extremely easy to clean and maintain. For example, the moulded commercial grade polystyrol inner liner is seam-free, making cleaning very straightforward. By using highly efficient components and extra insulation, together with the natural hydrocarbon refrigerant R600a and LED lighting, energy consumption is reduced, resulting in lower running costs.